I’ll clearly own and admit that it is. I love SMART goals as they pertain to business, professional, and personal goals related to project management, task completion, and the like. Here’s where I rebel. I coach a number of clients – both in group setting and as a private coach. Much of our work is both mental and physical. Anyone with a core competency in training can make you stronger – I want to make you more resilient and improve your mental fortitude at the same time. And therein lies my issue. At least 5 times per month (I’m not pulling that number out of the air, I went and checked) I get a group or individual client to email or IM or videoconference and say, “I’m doing ALL the right things – my diet is on-point, my sleep is right, my workouts are going well…but I have this goal to be 20 lbs lighter in 6 months, and I’m just not going to make it!” And therein lies some of my problem with SMART goals in general. What is a SMART Goals? (S)pecific – The goal should be very intentional and focused on a unique aspect of change. (R)ealistic – Is the goal attainable in the timeframe given? (T)ime-Bound – What is the length of time that is being given to achieve this goal? Tied to the right outcome. This may be my client’s idea of a day’s hard training. If so, a SMART goal of weightloss won’t help her with no desire to diet and this level of effort! #context! 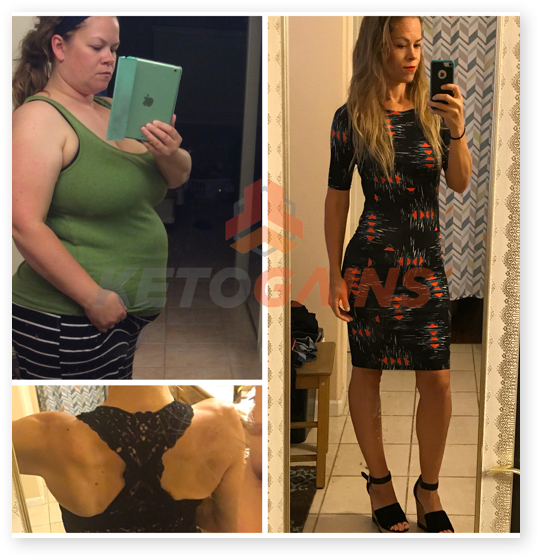 What if you (or your client) are someone with a history of binge eating behavior when faced with a caloric deficit or who has problems with inconsistent gym habits? Alternatively, what if the goal is for a moderately-obese post-menopausal woman who wants to exercise away the pounds without dieting? Knowing that recipe doesn’t work for those who don’t regulate calorie consumption…is that realistic for her context? No. In example 1, the goal the client desired was not assignably hers. She wanted someone else to do the work for her, and due to her own specific personal challenges. In example 2, the client has specific requirements for her daily living and of her health which make the goal unlikely to succeed. And in example 3, the client was commiting the biggest sin a see. She was comparing her results to another person and applying the same time logic. 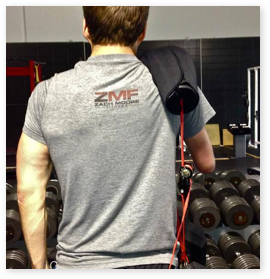 How much work are you/your client willing to do to achieve their goal? Are there any social or cultural issues which prevent the goal from being achievable? Is there a nuance to your/your client’s history which makes attaining that goal unlikely if you apply a standard run-of-the-mill approach? Is weight really a good measurement? What happens when the scale is the liar we know it is? Is comparative thinking useful for you or your client? What if she doesn’t lose as much as Sally? What if everything is right but the weight doesn’t come off? Is weight somethign that we can actively and unilaterally control for ourselves or our clients? What if the timing changes? 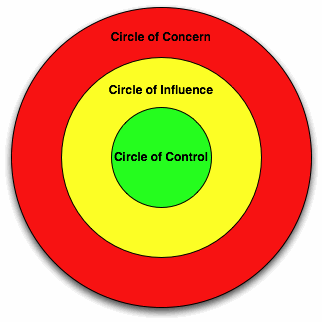 The Circle of Concern – things I’m interested in or concerned about but have no control over. If I have a picnic planned, there is concern about the weather, but little I can do to affect it. The Circle of Influence – things I can materially affect, but not unilaterally control. My weight is one of them. 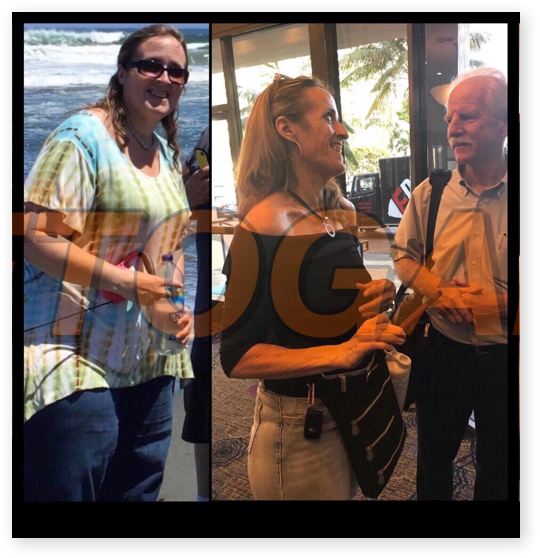 I can eat and do the right things, but the body’s just going to do what it does…if that is lose weight, great; if that is stay stagnant or gain, that stinks, but we only have a partial area of control over those things. The Circle of Control – these are things which I can unilaterally manifest my control over. Going to the gym. Eating my macros. Doing a top-notch job in my profession. Being thoughtful and empathetic to others along my path. The dumb side of SMART goals resides in trying to set goals in the Circles of Concern and Influence and not in the CIrcle of Control. 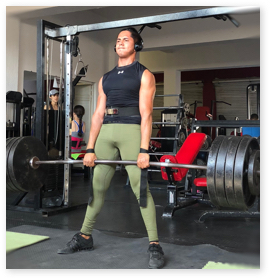 If you cannot solely and unilaterally control bringing your personal goal to completion (be that strength performance, education, weight loss, etc) then it has NO place as the metric of success in a SMART goal! It simply doesn’t. That’s just…dangerous. For those of us who are blessed to be permitted to walk with people in their journey – either as friends or as a coach, it is disingenuous of us to permit goal-setting which can fail for reasons outside of our friends, family, and clients’ control. If we’re going to be SMART, let’s stop being stupid.